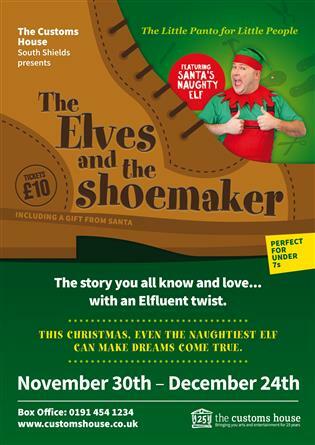 The Customs House Presents The Little Panto for Little People, The Elves and the Shoemaker. Featuring Santa’s Naughty Elf. The story you all know and love… with an Elfluent twist. This Christmas, even the naughtiest elf can make dreams come true.